I thought I would share with you the dessert I made for us to have tonight after our Christmas Eve meal. 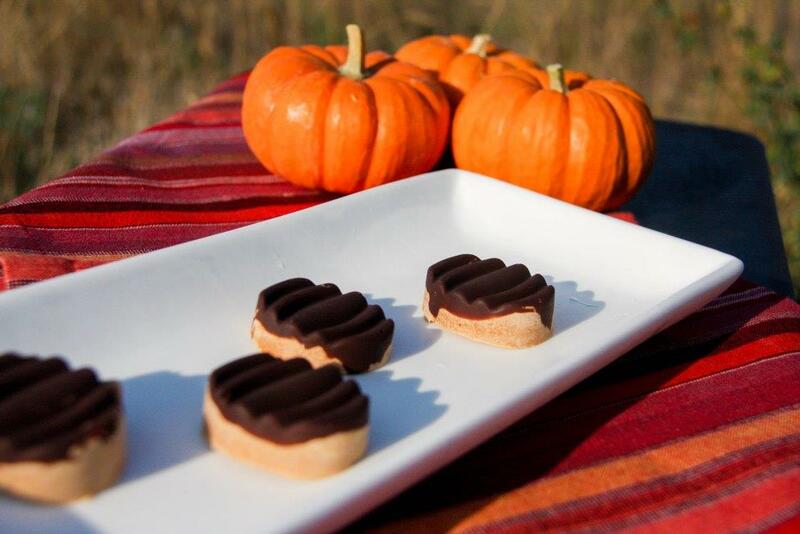 With all of the treats we have been indulging in, I wanted to offer a yummy dessert, but have it just be a few decadent bites vs. a huge piece of cake or pie. 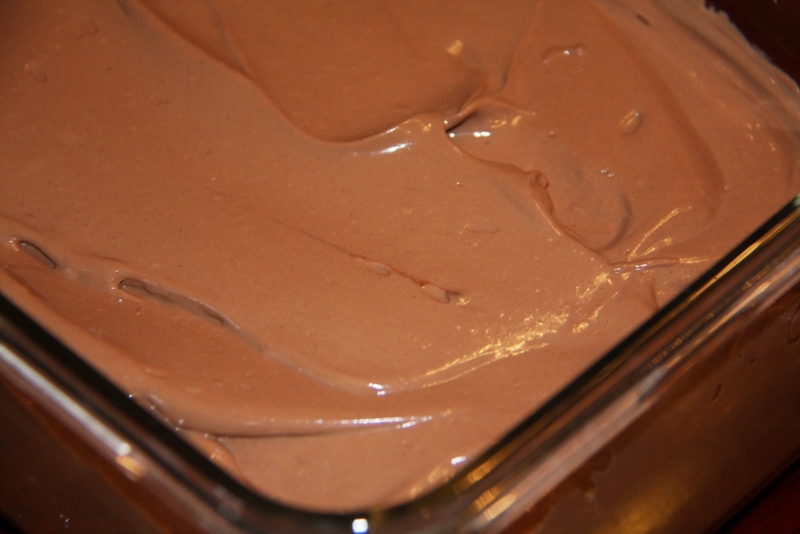 I based the recipe for my “Healthier” Chocolate Mousse on my Chocolate Mousse Frosting recipe (click HERE for that recipe). 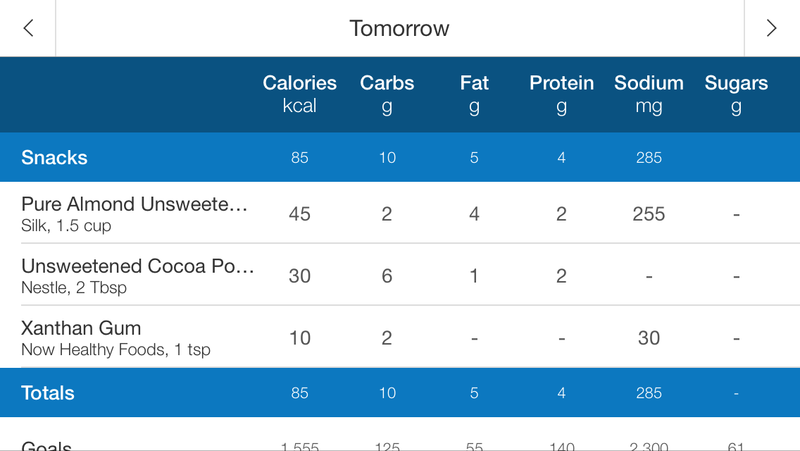 I made some alterations to the recipe to make it slightly sweeter and more chocolaty…think dark chocolate. 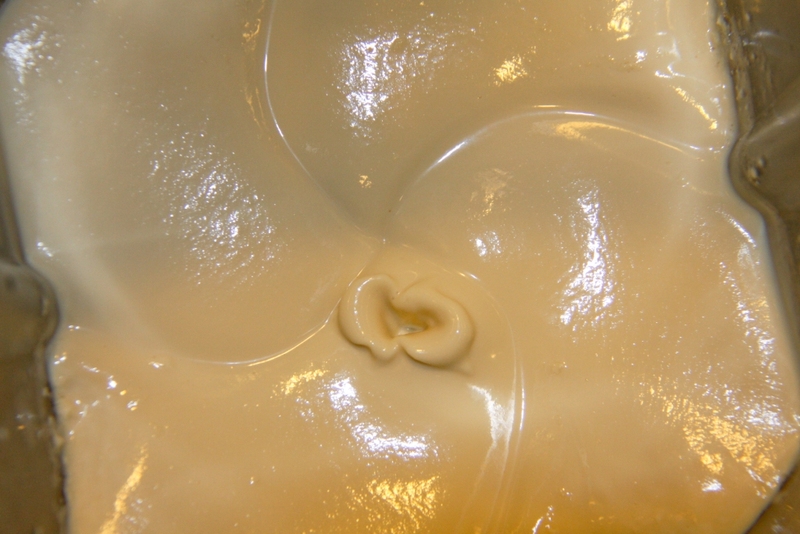 This mousse is firm, but that is how I wanted it so it would retain its shape when piped. 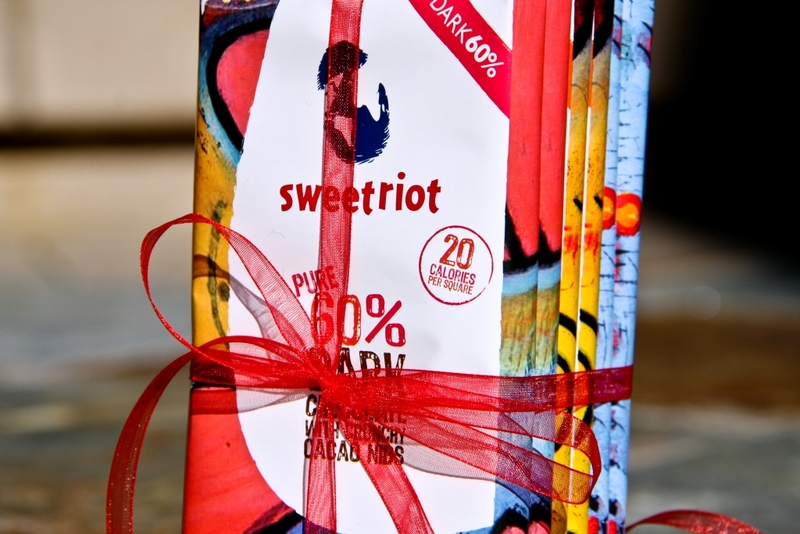 I used Sweetriot Dark chocolate to make the mousse and I have to tell you that their chocolate absolutely rocks my world and it is vegan, gluten-free, kosher, and their company is carbon-free to boot. I like to consider myself a bit of a chocolate aficionado and this chocolate hits the mark. 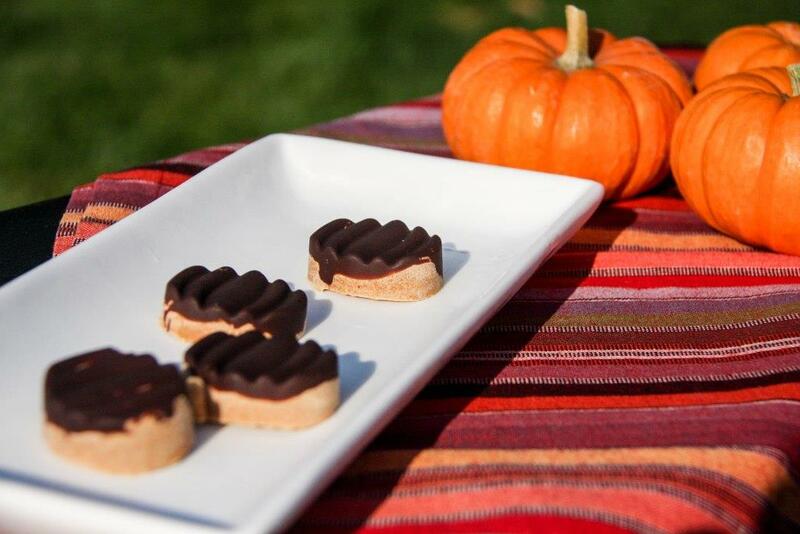 Not only is their chocolate amazing, but they are amazing too! 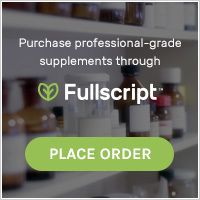 They use premium, high quality, and all-natural ingredients. They believe in fair trade with developing countries. They celebrate culture and diversity through their products. 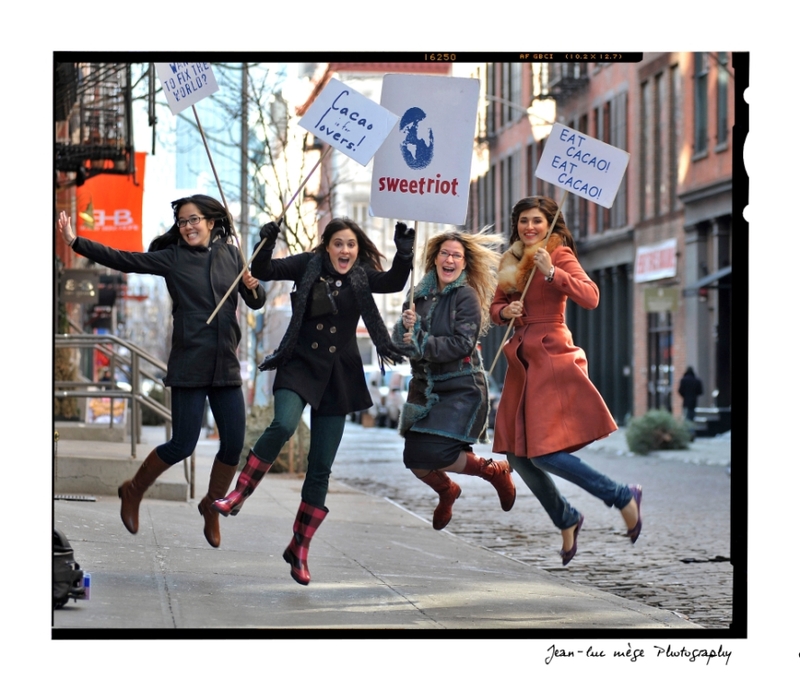 They create sweet experiences for their customers, partners and employees. And they are young at heart, energetic, down-to-earth and contribute to the greater good. While the chocolate is melting, blend the remaining ingredients in a high speed blender until very smooth (I used my Vitamix). 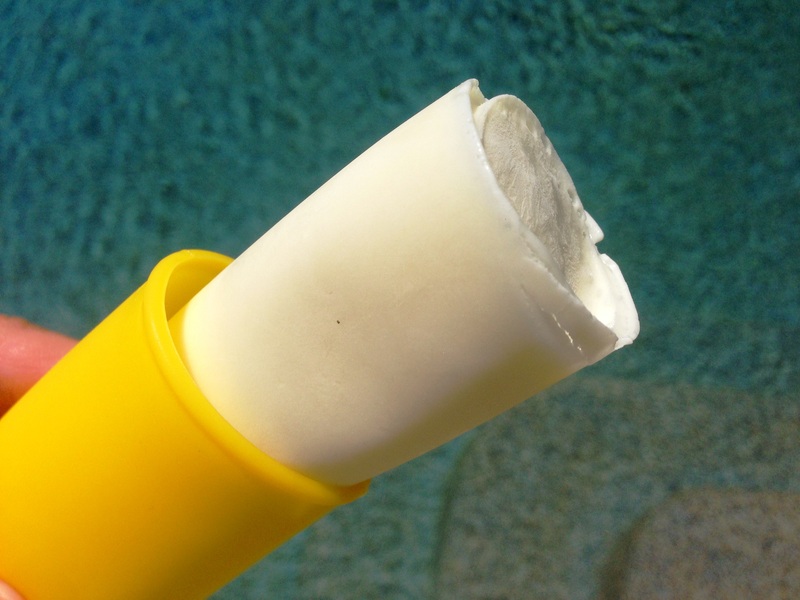 Use the center agitator and stop blending a few times in order to scrape down the sides. 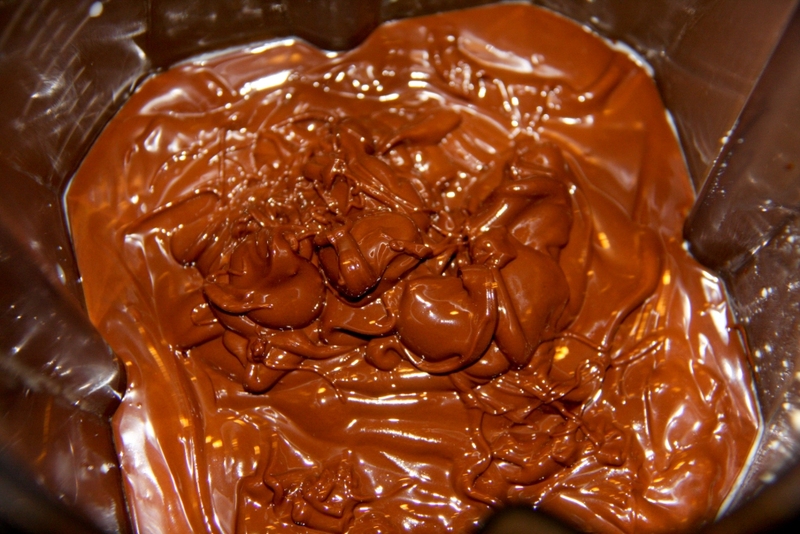 Once the chocolate has melted, add it to the rest of the ingredients in the blender and blend until smooth, scraping down the sides as needed. The mixture will now be warm and not quite yet the consistency of pudding. To serve the dessert as pudding, pour the mixture into a glass container and allow it to cool in the fridge for 20-30 minutes to thicken. 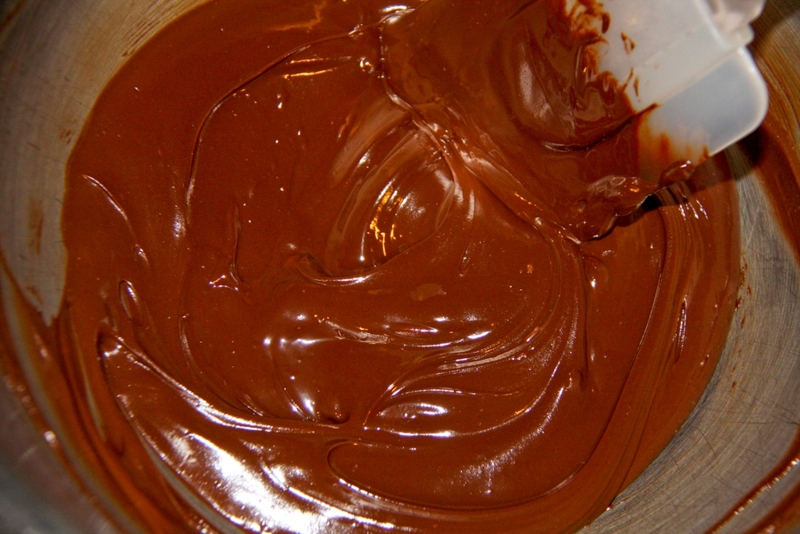 If using this recipe as mousse, keep it in the fridge for several hours to overnight so it firms-up completely. 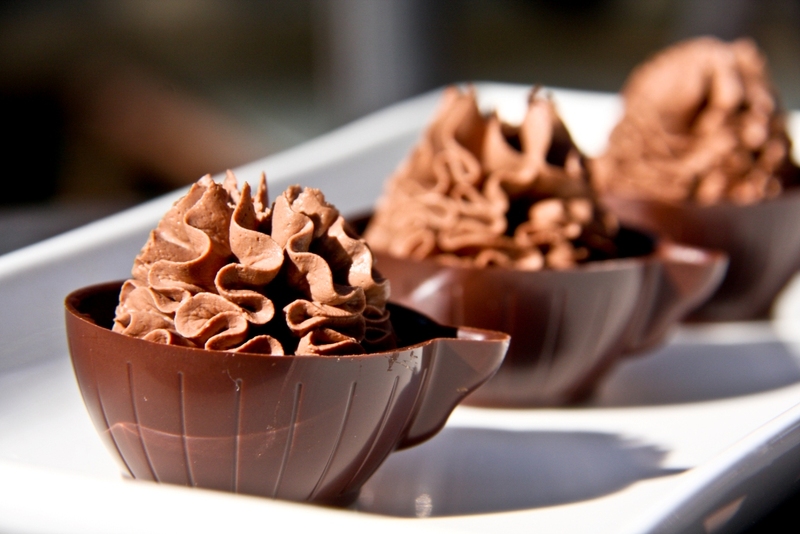 Prior to piping, you may whip the mousse with a handheld mixer to whip some air into it (this is not necessary, but optional). 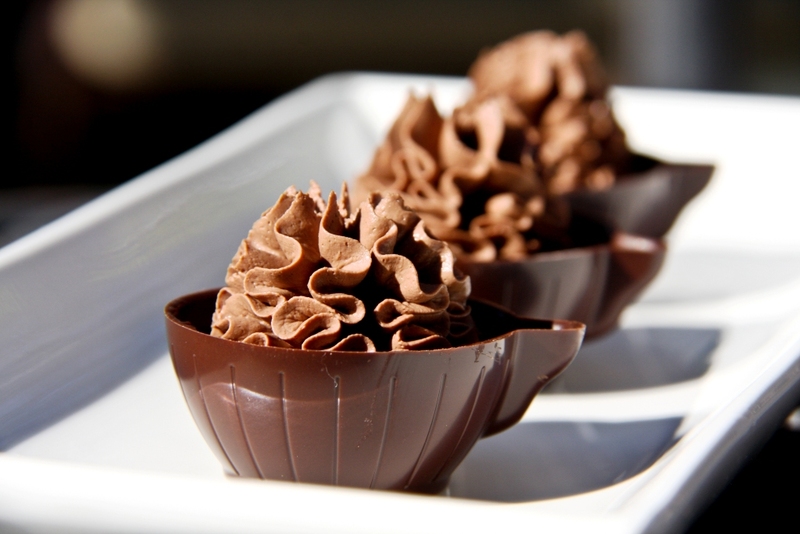 Pipe the mousse into chocolate cups or the container of your choosing and serve. NEW SMOOTHIE TRICK – Add Fiber! Every once in a while I stumble upon something that ends up really working for me. Recently I have been reducing the amount of fat in my diet (in an attempt to get more swimsuit ready) and I have been missing the thickness that avocado gives to my smoothies. I have found a suitable replacement texture-wise and that is to add clear fiber to my smoothies. While the fiber does not provide the creaminess that the avocado does, it helps thicken my green smoothies and the fiber helps keep me full. 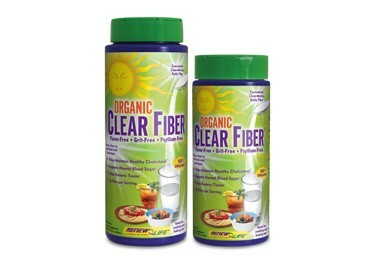 I was sent the Organic Clear Fiber by Renew Life to test a while ago and that is what I have been using lately. 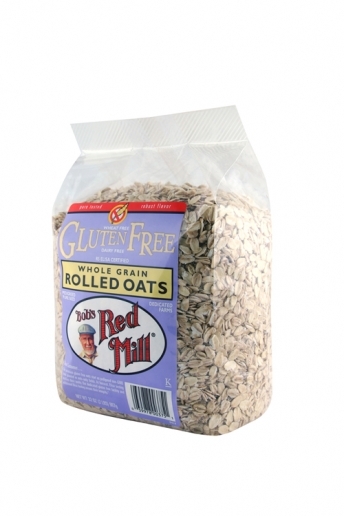 Other popular brands of clear fiber that are widely available are Metamucil and Benefiber. After doing some research I am very impressed with the Organic Clear Fiber by Renew Life because it is truly gluten-free and organic. Benefiber claims to be gluten-free, however on the label it states “Gluten-free (less than 20 ppm gluten).” Many people with gluten allergies can’t tolerate ANY gluten, so this is something to watch for. Place everything in the blender (with the exception of the banana and ice). I usually layer my smoothies in the container like this…liquid, some of the veggies, all the powders, the rest of the veggies. Blend until COMPLETELY smooth. Now add the banana (break into chunks first) and blend to incorporate, then add the ice and blend until smooth. You will be surprised by how filling this is. Oftentimes I can’t finish it in one sitting and end up saving some in the fridge for my afternoon snack. To learn more about Renew Life click HERE. Sometimes recipes happen by mistake…this is one of those recipes. 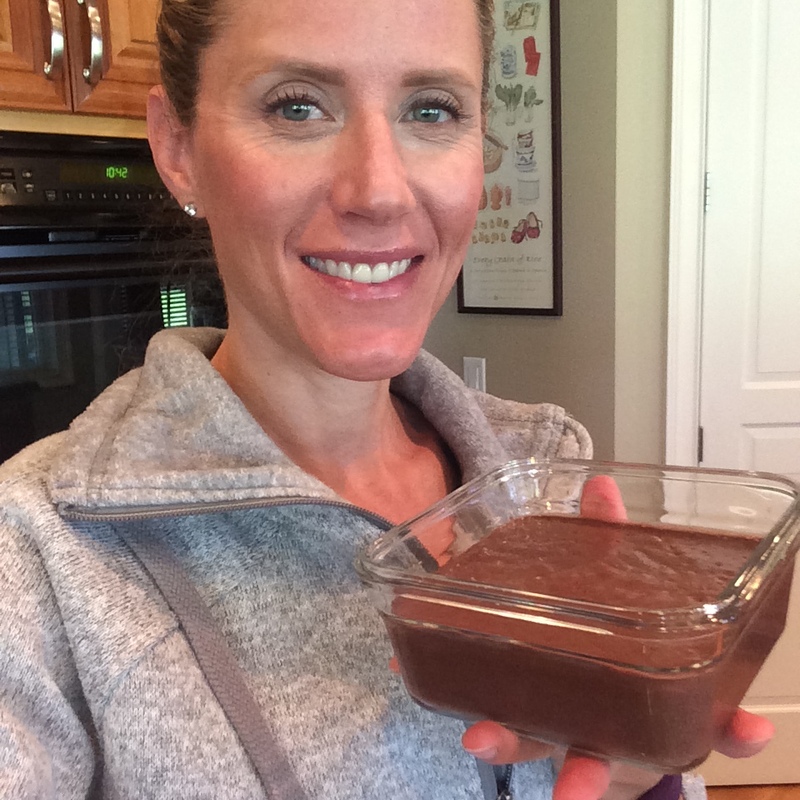 I was in the kitchen working on a recipe for chocolate mousse when the next morning I realized that what I really ended-up with was an awesome Chocolate Mousse Frosting (can someone toot their own horn if the recipe happened on accident?). I paired this frosting with a store bought (gasp) GFree vanilla cake mix that I had bought a long time ago and needed to finally use. The kids went gaga for these! My husband suggested that the frosting could be sweeter, but I humbly disagree. I am of the opinion that the cupcakes were so sweet that I did not want an overly sweet frosting. You can adjust the sweetness of the frosting depending on what you will be pairing it with….OR you could just make the frosting and eat it straight out of the container with a spoon. Dice the tofu into small squares and place them in the blender (I used my Vitamix). Blend until smooth. 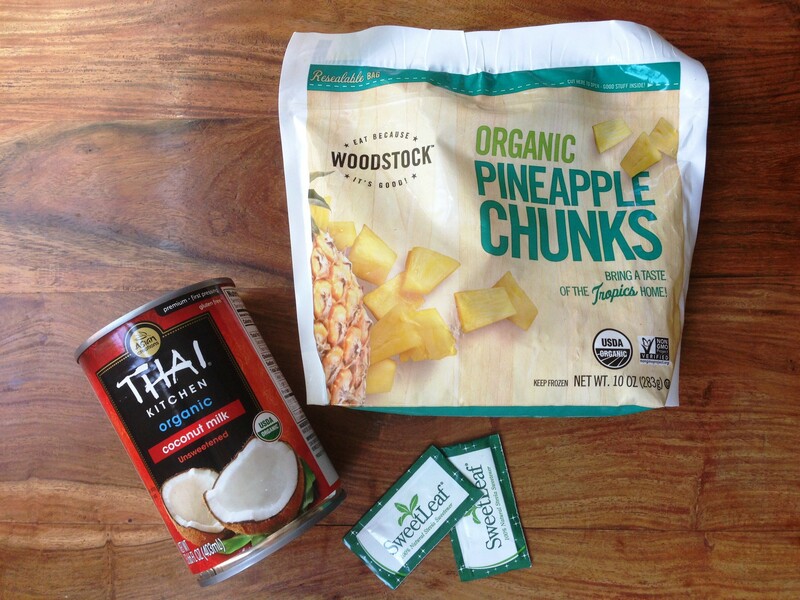 Add the coconut milk, cacao powder, and stevia packets. Blend until well incorporated. 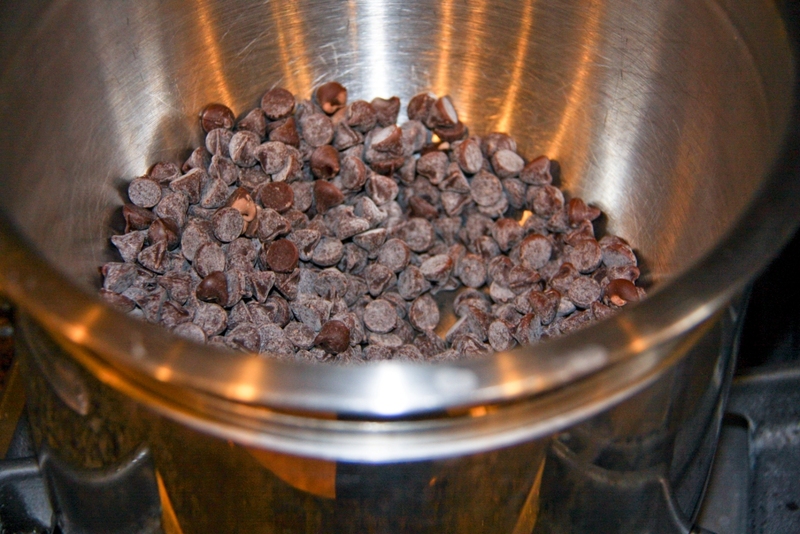 In a double boiler melt the chocolate chips over low-medium heat. Once melted add the chocolate to the blended tofu mixture. Blend until well incorporated. You may have to stop the blender a few times and scrape down the sides. 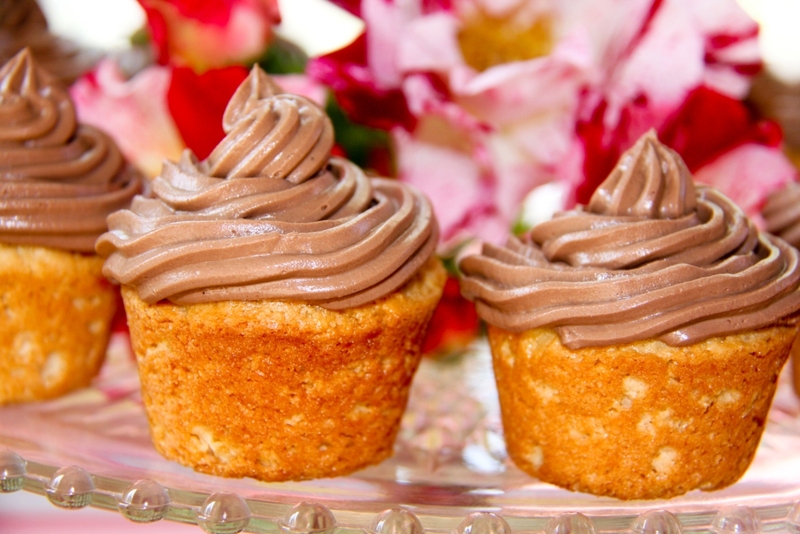 Once well mixed pour the frosting into a dish and refrigerate overnight. In the morning the frosting will be very think and ready to spread or pipe. 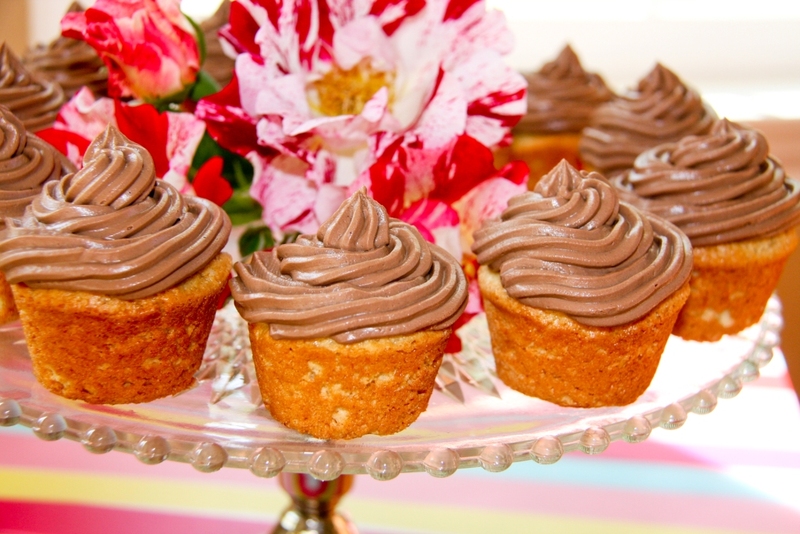 Since the frosting will soften at room temperature, frost right before serving or frost and place in the refrigerator until ready to serve. This recipe is so simple. My daughter is an oatmeal fiend, so first thing in the morning I gather my oatmeal ingredients and put it on the stove to cook. 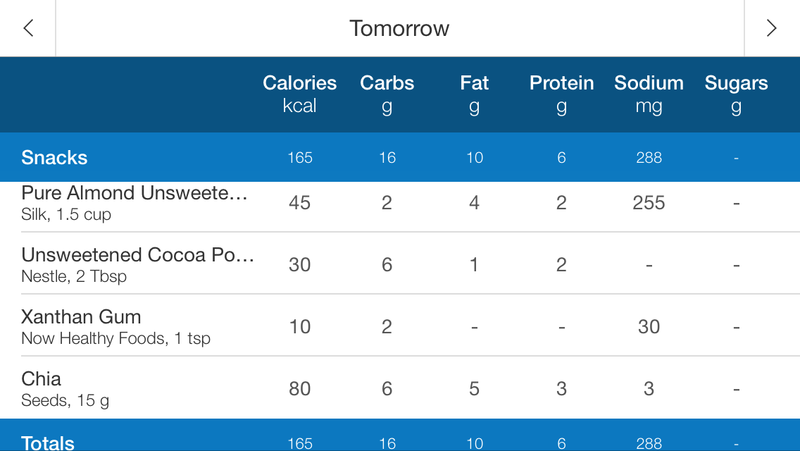 This allows me to let it cook while I sit down at the computer and put my daily plan together (before the kids wake-up). By the time my daughter comes downstairs for breakfast the oatmeal is ready, thickened, and cooled down enough for her to eat. As I said, this recipe is so simple. Pour all of the ingredients into a small pot on medium heat and bring it to a boil. Once the oatmeal comes to a boil, turn the heat down to low and simmer until you reach your desired consistency. 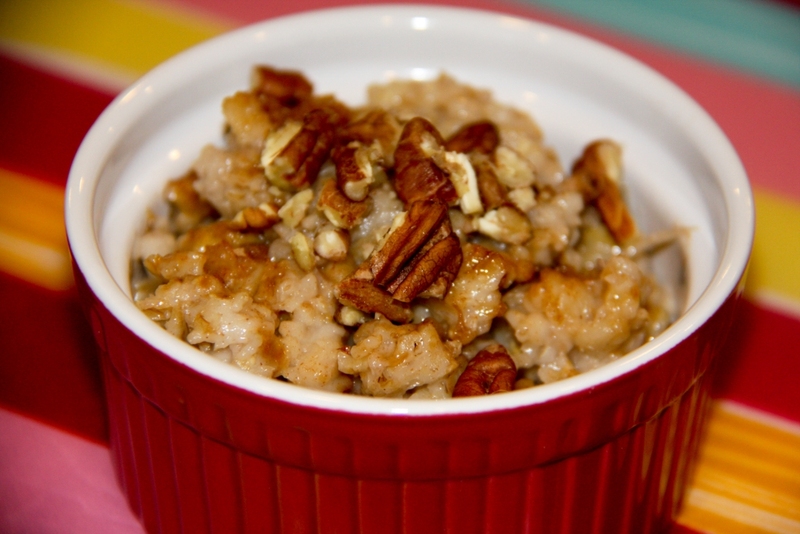 Top with coconut sugar or maple syrup and chopped nuts (I used my Apple Pie Infused Pecans). We also love to add some homemade almond milk (the plain version).